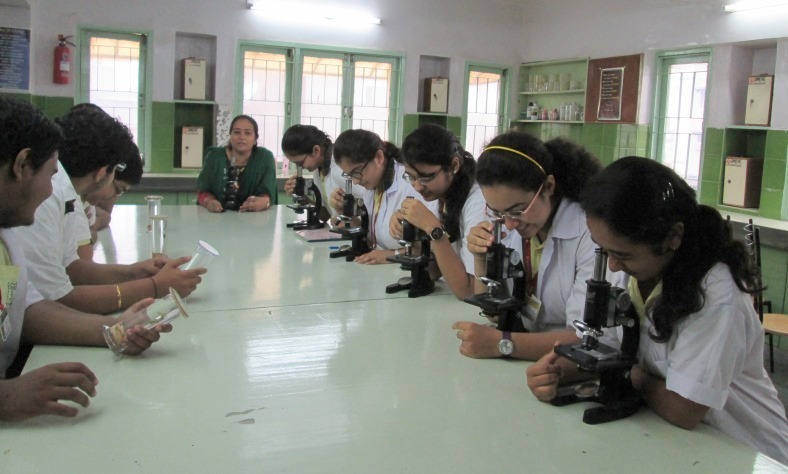 The School provides well equipped labs for physics,chemistry and biology ,where the children perform experiments to substantiate their learning. We, at St. Kabir strive to make our students academically superior, technologically Confident, and masters in computers,as we want them to be at the frontiers of This changing technocratic world. The school is equipped with latest state-of-art computer-labs Including facilities like multimedia and internet, which complements the I.T curriculum followed in the syllabus ,To make the topics which are to be taught, more interesting, the teachers use audiovisual aids. 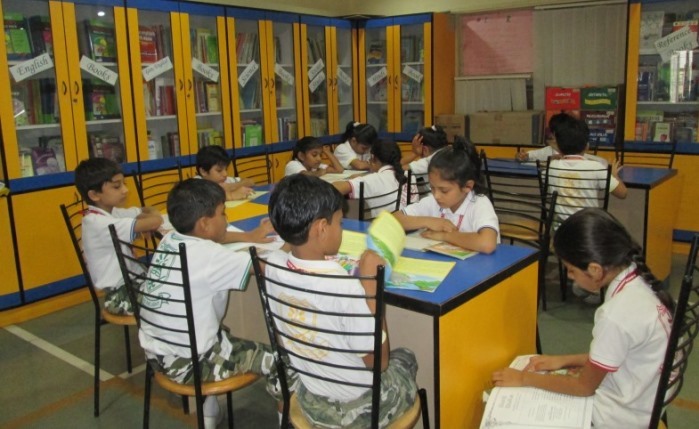 The spirit of enquiry is generated in the students by encouraging them to use the well-stocked library.The library is equipped with books, CD’s on every subject, multiple sets of encyclopedias and round the clock internet from which the children do extensive research for their projects. Keep books away from water bottles. Use bookmark to “save” where you stop reading. Do not FOLD OVER A CORNER OF A PAGE! If a book is damaged, pls. tell to ma’am in the library what is wrong and let them fix it. Don’t do your own. At St. Kabir, The mathematics laboratory is a place where anybody can experiment and explore patterns and ideas, enjoy mathematics through informal exploration. It is a place where one can find a collection of games, puzzles, and other teaching and learning material. The materials are meant to be used both by the students on their own and with their teacher to explore the world of mathematics, to discover, to learn and to develop an interest in mathematics. Often mathematics lab takes students knowledge beyond the curriculum. The facilitation could be done either by probing questions, giving an extra resource or asking to follow or discuss with peers. All the branch have spacious audio visual rooms with all facilities like OHP, LCD, sound systems , screen with a seating capacity aver 100. 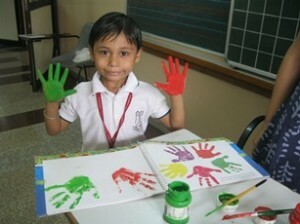 They are regularly used for presentations, lectures, workshops by school staff and visiting faculty. This recently introduced activity teaches the basics of English Language. It helps improve the pronunciation of the students through phonetic spellings and vocabulary.Skills like reading,reasoning, listening and recognizing is being developed especially for the lower classes. 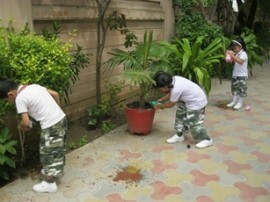 School has made mandatory for the students to bring nutritious and healthy tiffins. They are provided with mineral drinking water in the school. The children are taught to prepare quick, healthy snacks for themselves. 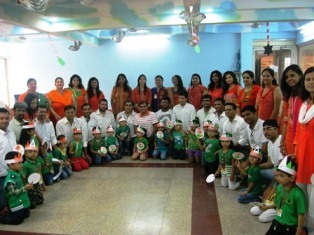 They are also taught table manners and use of cutlery as a part of their overall personality development. All the branches of the school are equipped with Ro plants on each floor so that the students are provided mineral water. 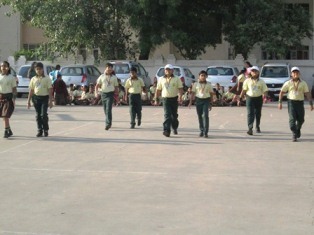 This step has been taken by the management keeping in mind the health and fitness of the children. main stage and lawn facility at saint kabir..!! 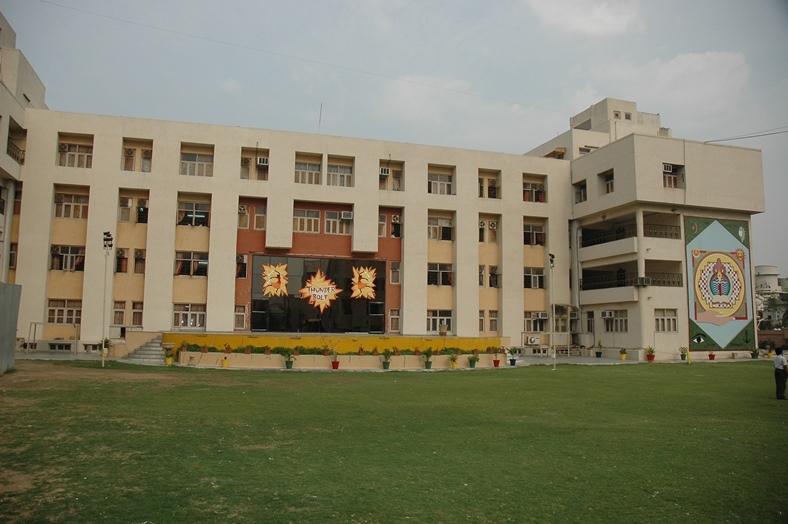 St. Kabir has a huge stage where the Annual programmes and other special programmes are held for the students. The spacious lawn front of the stage can accommodate an audience of around 5000. 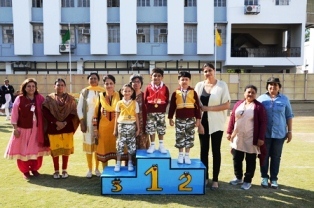 Believing that ‘a healthy mind can reside only in a healthy body’, St. Kabir School takes special care in garnering the spirit of sportsmanship among the students by training them in different free coaching scouts, karate, chess, yoga etc. 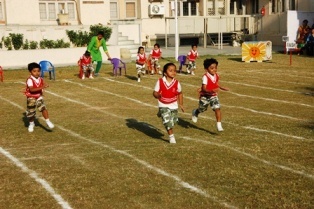 St. Kabir Annual Sports Day is always designed to be fun, exciting, challenging and rewarding. By giving more children the opportunity to try a much wider variety of sports we increase participation levels, widen the talent pool and help our students lead a healthier, more active lifestyle. 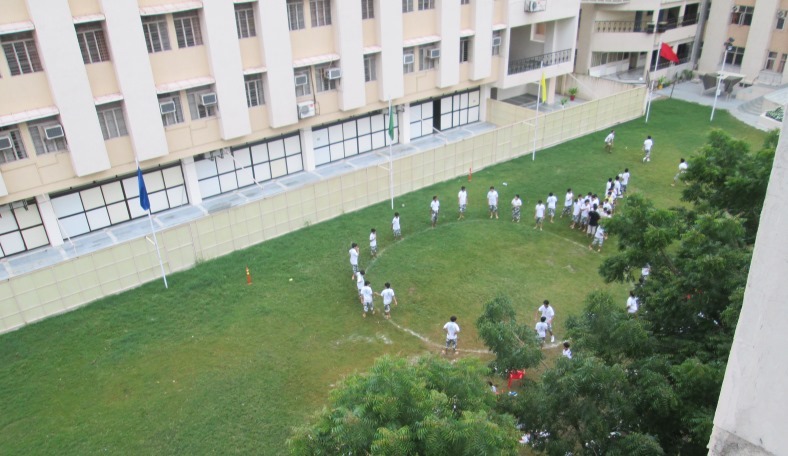 Students had fun sporting an array of events like Hurdles Relay, Dodgeball, Kabaddi, Kho Kho, Langadi, Kangaroo & Rabbit race, Zig Zag race etc. 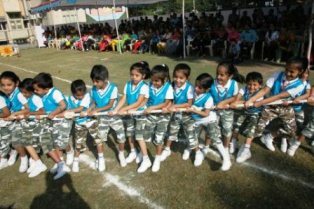 which help them in building team spirit as well as healthy competitive spirit. St. Kabir school has had the privilege of getting their playground inaugurated by the great sports living legends Shri Kapil Dev in December 2003 and Shri Yuvraj Singh in October 2010. Free Basket Ball and cricket coaching is given to students by qualified coaches. 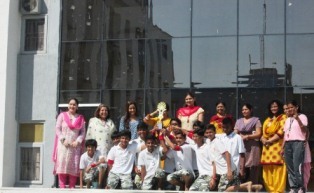 St.kabir is presently the under 14 city champs in both Basketball and Cricket. 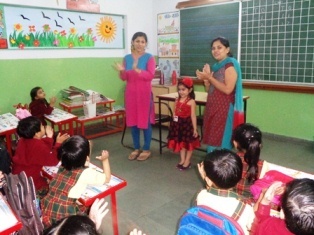 The school has a separate section for Tiny Tots who are welcomed into the warm cocoon of elementary school life by our gentle, motherly, affectionate, trained Teachers, who strive to make a home away from home for the toddlers. 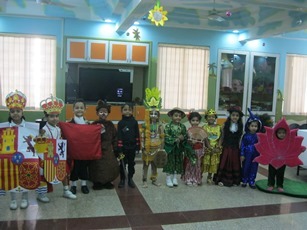 Various activities are planned for them throughout the year, which includes Hindi and English Recitation, Dance, Puppet shows, Art and Craft work which make the children over come stage fears and become confident.